While “Since U Been Gone” by Kelly Clarkson blares from your mother’s Honda Accord, you gaze out the window because you have finally convinced her to take you to Toys-R-Us. You walk in, being greeted by seemingly endless towers of dolls, LEGO sets, and everything in between. You may not buy anything, but that’s okay because experiencing the pure awe and excitement from being in a metropolis of toys is enough to satisfy your young self . 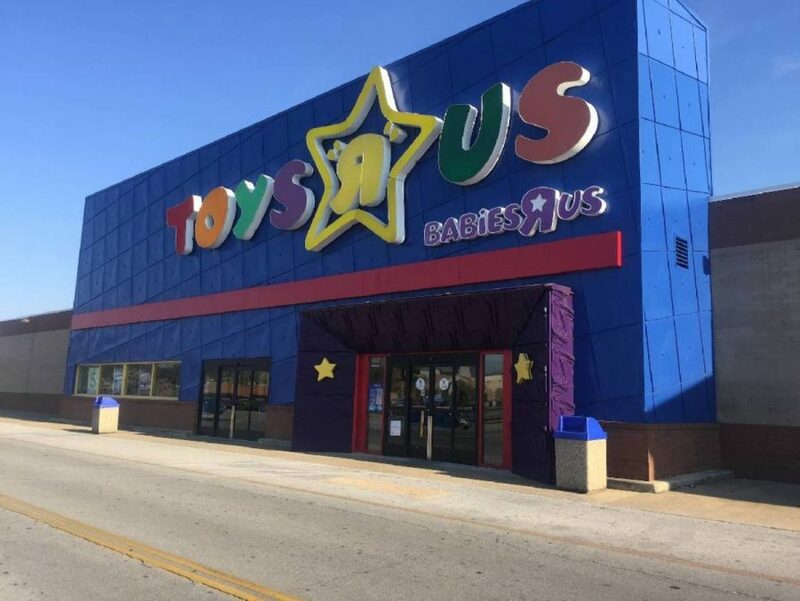 . .
It’s hard to believe that such an icon like Toys-R-Us would ever come to an end, but in March of 2018 the company announced that it would be slowly closing all 850 of it stores due to low sales. At first this might seem crazy, but in retrospect it’s been a long time coming. “Superstores” like Target and Walmart have had a prominent place in business for a while, but they’ve slowly been on the rise and taking over market share and affecting specialty businesses. Just look at RadioShack, which filed for bankruptcy in March 2017, and then sooner announced the closing of approximately 550 stores. Why go to a specialty store for one specific thing when you can go to a Walmart and get your new TV, as well as do some grocery shopping? According to an article from April 17th in CBS News by Jonathan Berr titled Toys “R” Us Rejects Bratz CEO’s Offer to Buy Stores, billionaire toy maker Isaac Larian, famous for the “Bratz” brand of dolls, made a bid to buy Toys-R-Us for $890 million for 274 stores in the United States in an attempt to “save” Toys-R-Us. However this offer was denied, as it doesn’t meet the minimum threshold that the company set. Toys-R-Us going out of business would no doubt heavily affect a lot of toy manufacturers, so it makes sense that one of the biggest brands would make an attempt to save the company. In the midst of it all, it’s unfortunate that an iconic part of (almost) everyone’s childhood has to end in such a way. Best case scenario, they find someone who is willing to buy the stores at a reasonable price. Worst case scenario, Toys-R-Us is gone forever, and stores like Walmart become the new king . . . at least until Amazon takes over!